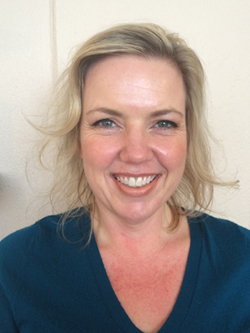 Jennifer Olson Weir, LMP, Massage Therapist, is a graduate of the Inland Massage Institute in Spokane, WA. Originally from California, she is a graduate of California State University in Fullerton with a Business Administration degree. Jennifer is NCBTMB board certified and a member of the American Massage Therapy Association (AMTA). She has been in practice since 2006. Before becoming a Massage Practitioner, Jennifer’s background is primarily in marketing and sales, with experience in the spa industry. She was inspired to become a massage therapist after working at a desk for many years, experiencing neck and shoulder pain. She has attended several hours of continuing education focusing in deep tissue massage, clinical approaches and neuromuscular therapies. Jennifer is available by appointment in-clinic Monday through Friday.